Auxy, from Auxy, was updated to allow projects to be exported and imported via iCloud. They've also expanded drum kits to offer 16 sample slots, and projects can be exported to Ableton Live. YouTuber Ken Karsh did another beautiful guitar performance with Quantiloop! First official Video done with my Zoom Q2n 4K video/audio recorder with sound recorded direct from my Yamaha board! My love of ELP was/is this inspiration for this Quantiloop performance. Tracks were pre- recorded in free mode utilizing my Martin 00028EC with Baggs pickup and my Fender/Warmoth Jazz bass. All guitars were processed with BIAS FX. I did this live at the WJS Jazz Brunch, but my tapping foot was way too audible. I have to break that habit, it seems...Anyway, this was a labor of love here. Dean from Electronisounds has been pre-occupied lately with his new Akai Force, but he returned to BeatMaker 3 for this jam! SUBSCRIBE FOR MORE SHENANIGANS, iOS LIVE JAMS, iOS PRODUCTION TIPS, TRICKS AND SHIZZLE! Abigail Macfarlane, developer of Autony, released Cality today! This is an AUv3 MIDI mangler that combines elements from granular synthesis with MIDI; adding additional notes to your performance for a variety of possible uses. This sounds wildly complicated, but the interface looks clean and the results sound great! The cloud section takes techniques common in granular synthesis and brings them to the realm of midi notes. It adds additional notes to the ones you are playing. This can be a simple rhythmic accompaniment or it can bring new textures from your synths by generating a cloud of tiny notes almost entering the realms of black midi. 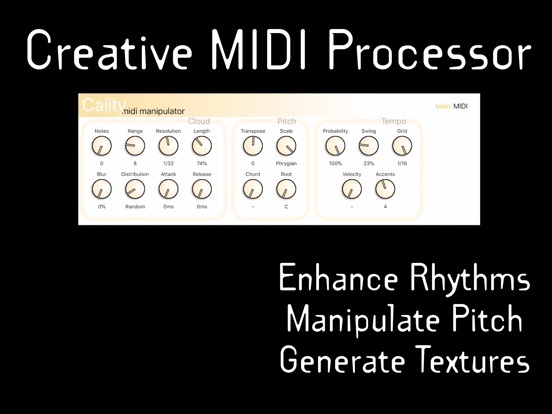 Cality is great for bringing life to simple midi loops or patterns or for taking you deep into creative realms. Reader echo opera posted a couple of demo jams using the Cality. One The Miracle of Something he creates a spacey-angelic texture, and in Undivided Presence he takes us into alien realms! There's no official demo video, and probably won't be, but The Sound Test Room has us covered! YouTuber Jakob Haq did a detailed tutorial how to efficiently route your audio in AUM with Sends and Buses. How to setup AUM FX SEND channels PROPERLY! This is a completely new version of my previous video. All of the tutorial parts have been re-recorded and re-edited. Now I made this video as a response to a viewer question about the topic of switching out plugins during live sessions. Tricky thing to do without blasting your speakers due to audio spikes etc. 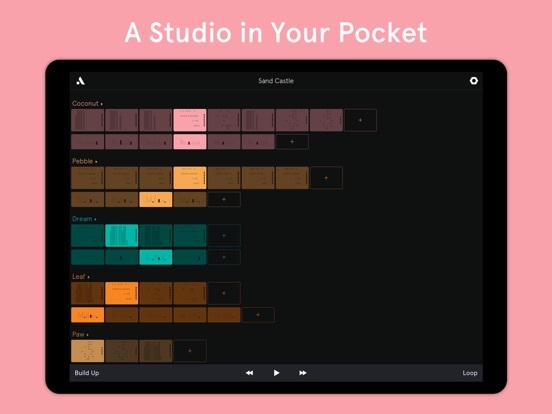 AUM is a gread audio mixer for both iPad and iPhone. It supports Inter App Audio ( IAA) apps, Audio unit extension ( AUv3 ) plugins and also MIDI plugins.